We stopped for a quick lunch on our hike up into the mountains around Quito, and this tiny friend decided to join us. 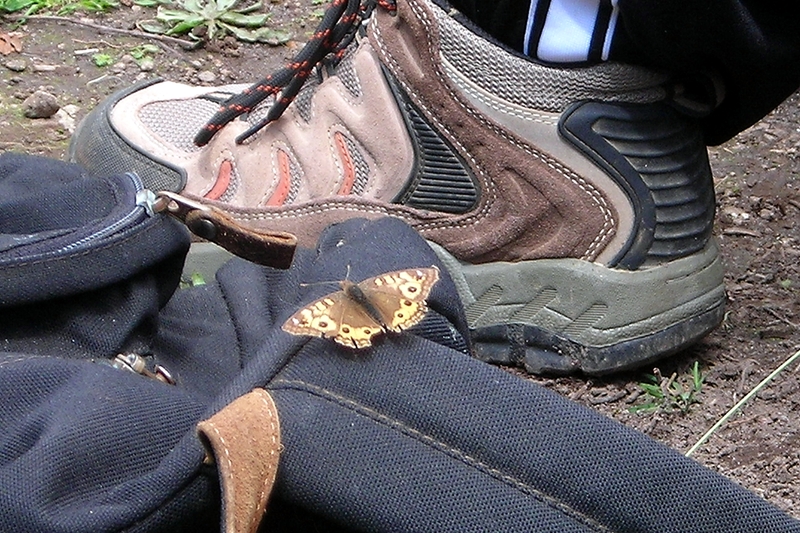 I have no idea what kind of butterfly this is; we saw so many in both the highlands and the lowland rainforest. This photo is one of the few semi-decent macro photos from my Ecuador trip—not bad for a little 5.1MP/3x optical zoom Nikon Coolpix.